The CMS is attempting to undermine Congress' work to help doctors move to value-based care, leaders from key medical societies claimed to House lawmakers on Thursday. In a hearing before the U.S. House of Representatives' Energy and Commerce committee's health subcommittee, physicians claimed that the CMS has let too many doctors sit out of reporting to the Merit-based Incentive Payment System (MIPS) and that the agency has yet to adopt any alternative pay models recommended by the Physician-Focused Payment Model Technical Advisory Committee (PTAC). Dr. Ashok Rai, AMGA board chair and CEO of Prevea Health, said if the CMS doesn't reverse course on its opt-out policy, MIPS will be no better than the much-maligned sustainable growth rate formula that MACRA replaced. "It's another kick the can down the road, it's becoming SGR 2.0 if they continue that behavior," Rai said. "MIPS was supposed to be the on-ramp to value and they've created an exit ramp." The CMS has proposed that physician practices with less than $90,000 in Medicare revenue or fewer than 200 unique Medicare patients per year should be exempt from MIPS. With all the opt-outs, approximately 40% of the 1.5 million doctors billing Medicare will have to comply with the system. MIPS relies on a budget-neutral pool to reward or penalize doctors based on their performance. Because of the opt-outs, MIPS participants can expect a potential pay increase of just 2% in incentive payments if they perform well, according to AMGA. That's well below the 7% envisioned by lawmakers who drafted MACRA, Rai said. Several lawmakers expressed concern that MACRA wouldn't be able to meet its promised goals. Rep. Buddy Carter (R-Ga.) said that the GOP Doctor's Caucus sent a letter to the CMS earlier this month regarding the opt-outs. "We just don't have enough physicians who are participating," Carter said. The low incentive pool has garnered more attention in recent days as physician practices begin to receive CMS reports on how they performed under MIPS. Valinda Rutledge, a vice president at Greenville Health System in South Carolina, told policy wonks at a Brookings Institution event last week that her system is only getting a 1.59% increase in payment despite scoring 95% on MIPS criteria. Her system estimates that for every dollar it spent on MIPS compliance it's only getting 60 cents back. She estimates Greenville Health invested between $7 million to $8 million in staffing and health IT costs to be able to report under the program. "That's not sustainable," Rutledge said. "There is no way that we can continue to survive continuing to get 60 cents for every dollar we spend." Dr. David Barbe, former president of the American Medical Association, expressed dismay at the hearing that the CMS has yet to adopt any of the 10 models recommended by PTAC. MACRA created the advisory group to evaluate and recommend advanced alternative pay models created by providers for the agency. 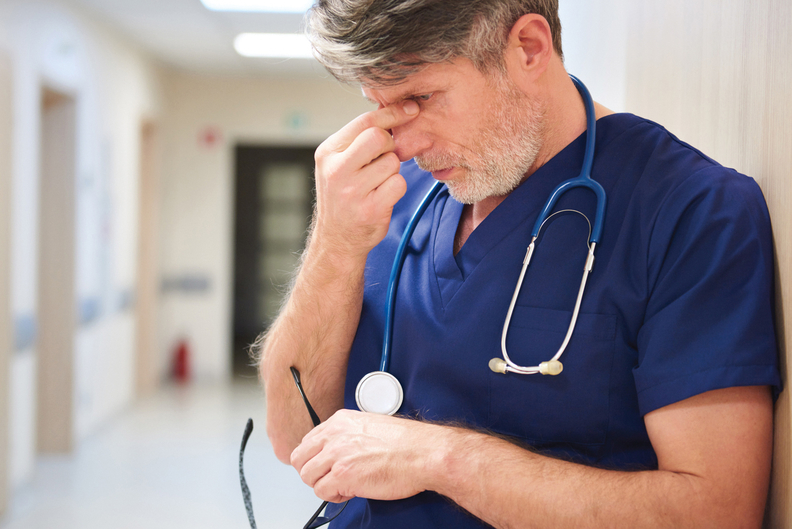 "Unfortunately, CMS has not seen fit to adopt any of those yet and I think it is thwarting the creativity and innovation that physicians are willing to bring to the table," Barbe said. Both Health Subcommittee Chairman Michael Burgess (R-Texas) and ranking member Rep. Gene Green (D-Texas) said they supported holding a hearing where HHS can explain why it isn't embracing PTAC's ideas. "We need to see if our subcommittee can encourage HHS and CMS to give feedback and coordinate with you on where we're going with this," Green said.